Food For The Poor holds Angels of Hope Festivals. Latin America (MNN)–Food For The Poor just held parties celebrating the children in over 60 orphanages throughout Latin America and the Caribbean. The annual festivals for the ‘Angels of Hope’ orphanage program are meant to help the kids know how important they are in God’s eyes. It is a time for the children to give thanks for the blessing God has bestowed. The day also includes festivities such as dancing, sports events and musical performances. Events like these are special treats for children who rarely experience such outings. 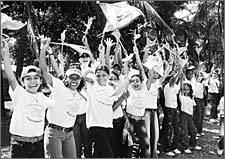 The Angels of Hope program enables donors to sponsor children throughout seven countries in this region. Many of the children in the program were left orphaned or abandoned without anyone to love them. As Food For The Poor explains it, these innocents need angels here on earth to watch over them and ensure their needs are met. It’s one way believers are reaching out to provide the kids with desperately needed physical, spiritual and emotional support. 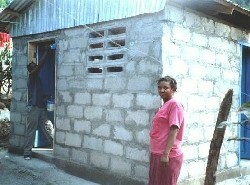 A ministry keeps moving forward with a housing project in Haiti. Turkey's bid to enter the EU may be adding to anti-Christian sentiment.